My credit card was declined during a purchase. What should I do? – Have a question? Find the answer here. There are a two main reasons your credit card may have been declined. Your credit card may not be set up for international purchases or you may have exceeded the limit available. Please contact your bank about these issues. 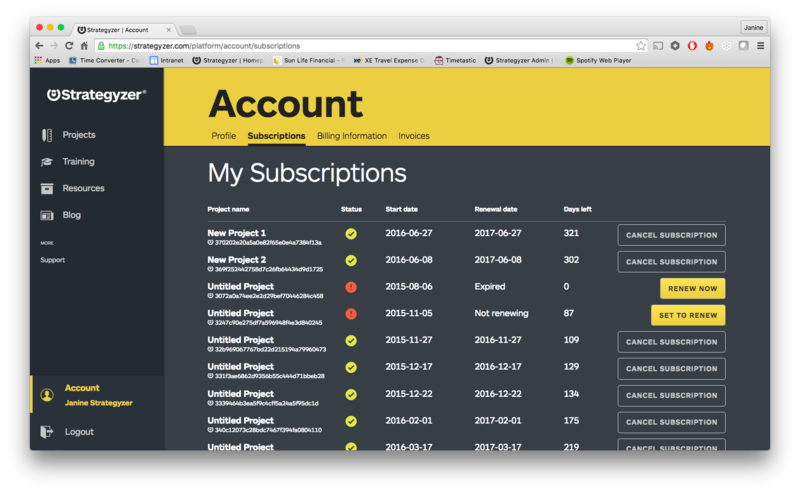 If you are unsure if your Project purchase was completed, please log in to your Strategyzer account and navigate to the Subscriptions section. You can always cancel your subscription by selecting Cancel Subscription.